BDL905 The production line adopts the advantages of the similar foreign fum aces and is successfully made in China and realizes the computer control and management. Composition: The whole production line consists of lifting plat, loading and unloading plate, sealed box-type fumace, rinsing machine, tempering fumace and electric control system etc. Applications : widely used for the carburizing and quenching of gears, bearings, shafts and other mechanical parts. 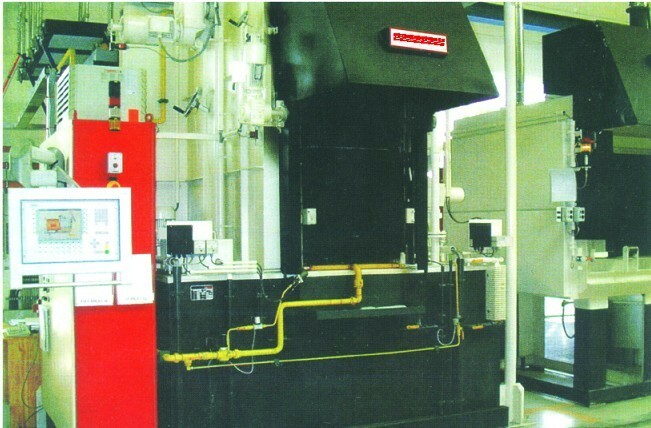 Features : Fast carburizing, thick carburizing layer, stable quality.